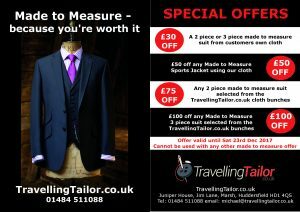 Black Friday offers come a week early and stay longer on made to measure suits and jackets from TravellingTailor.co.uk. Black Friday this year (2017) falls on Friday 24th November but TravellingTailor.co.uk have launched their own Black Friday a week early. What’s more, the offers will last until Christmas. 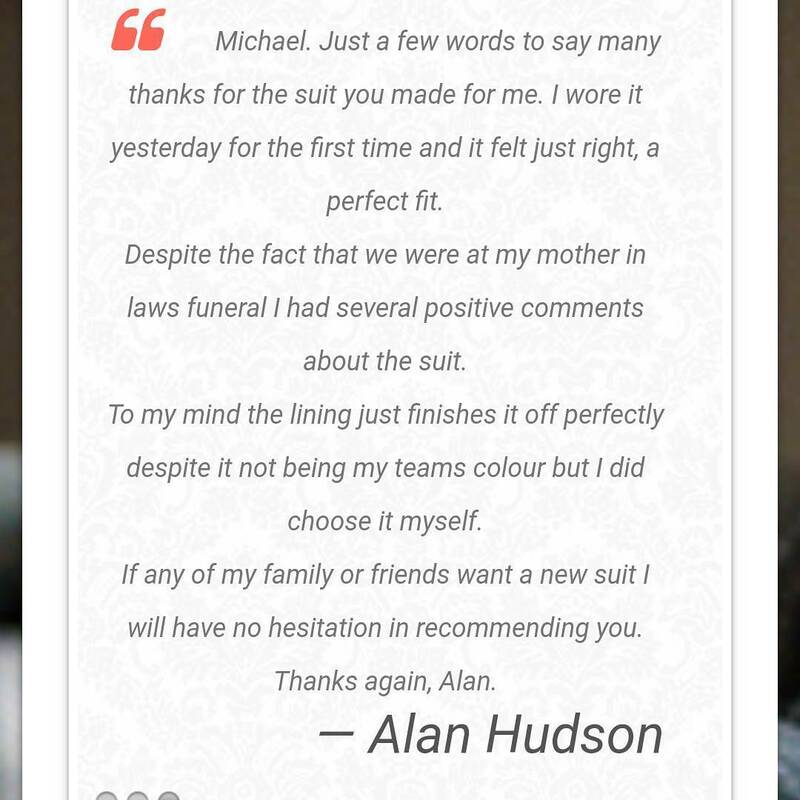 £30 off any 2 or 3 piece made to measure suit made from customers own cloth. Got a spare suit length in your wardrobe or access to cloth? Why not have a 2 or 3 piece made to measure suit from it. 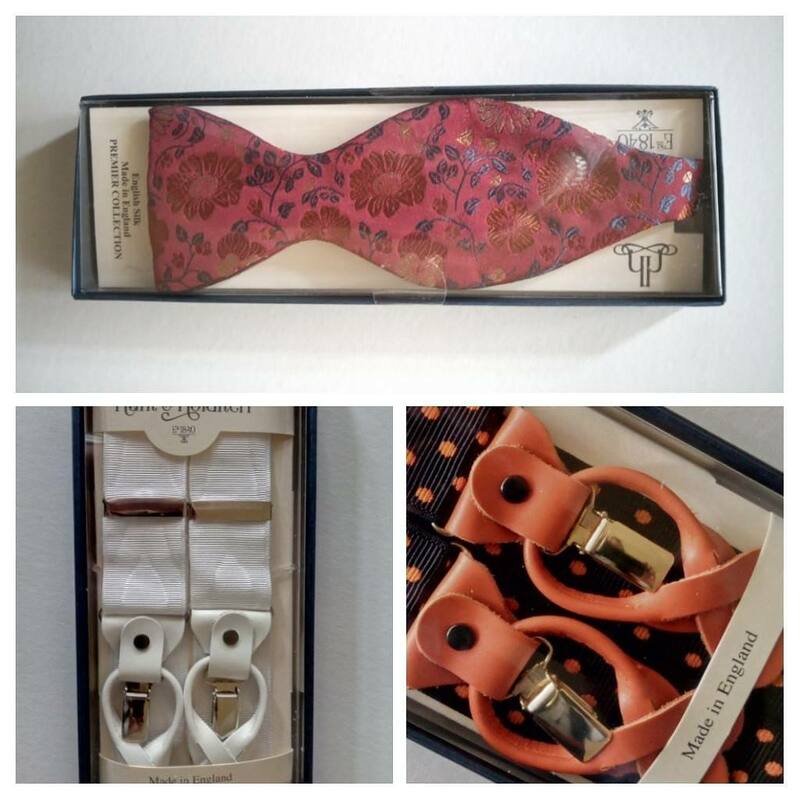 All you need to do is supply the cloth, TravellingTailor.co.uk will proved all the linings and trimmings. It couldn’t be easier. 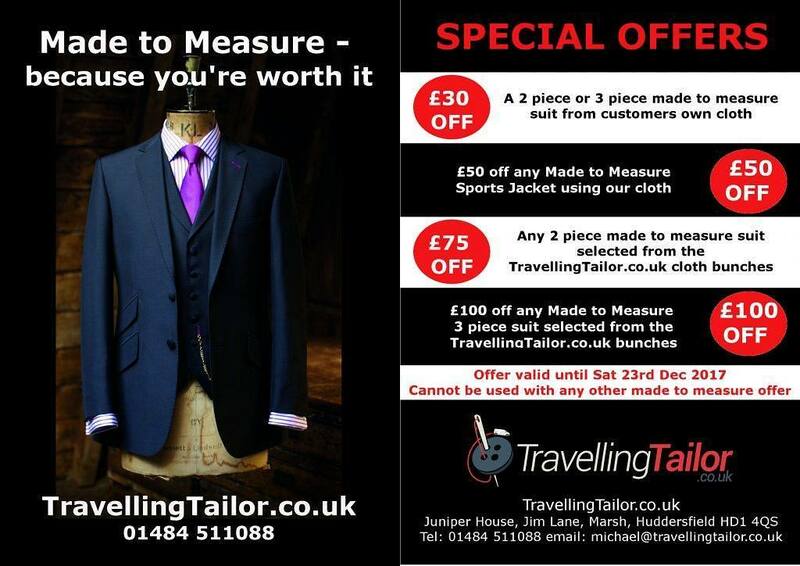 £50 off any made to measure sports jacket using cloth from any of the TravellingTailor.co.uk bunches. Whether you’re looking for a Tweed Jacket, a Tuxedo or a Lambswool jacket, we have many patterns to choose from. Simply call TravellingTailor.co.uk to arrange for a consultation and you’ll receive a £50 discount on our book prices for any order placed before 23rd December 2017. 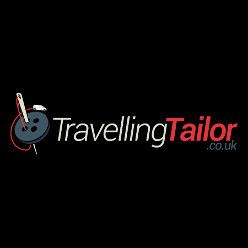 £75 off any 2 piece made to measure suit selected from the TravellingTailor.co.uk cloth bunches. 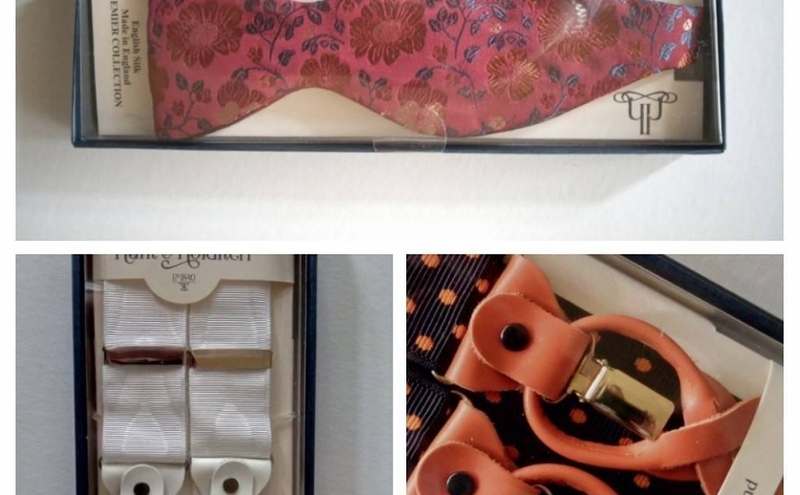 With over 1000 cloth samples to choose from a 2 piece made to measure suit from the TravellingTailor.co.uk cloth bunches makes a wonderful Christmas present for a loved one. And now with £75 off our book prices it also makes a great Black Friday offer. 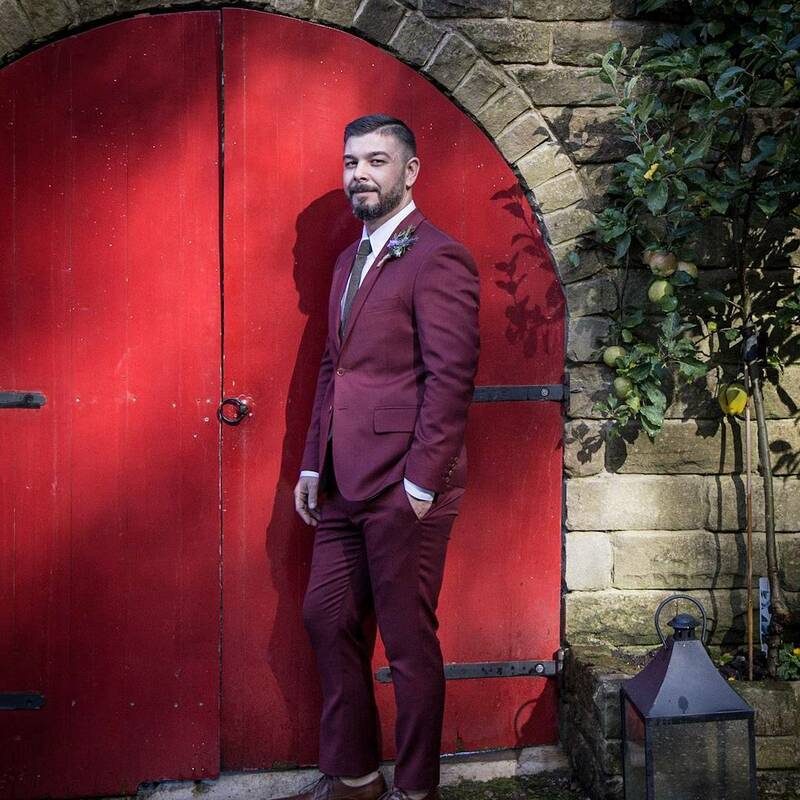 Why not call Michael on 01484 511088 to discuss your made to measure suit requirements? A 3 piece suit consists of a jacket, trousers and a waistcoat and now you can get £100 off a travellingtailor.co.uk made to measure 3 piece suit. 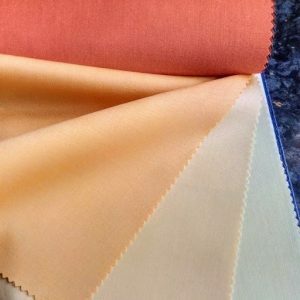 As with our 2 piece suits, we’ve over 1000 cloth samples for you to choose from. *Don’t want a 3 piece but would still like £100 off? Well, travellingtailor.co.uk will honour the £100 off any 2 piece made to measure suit from our bunches if you want an extra pair of trousers. 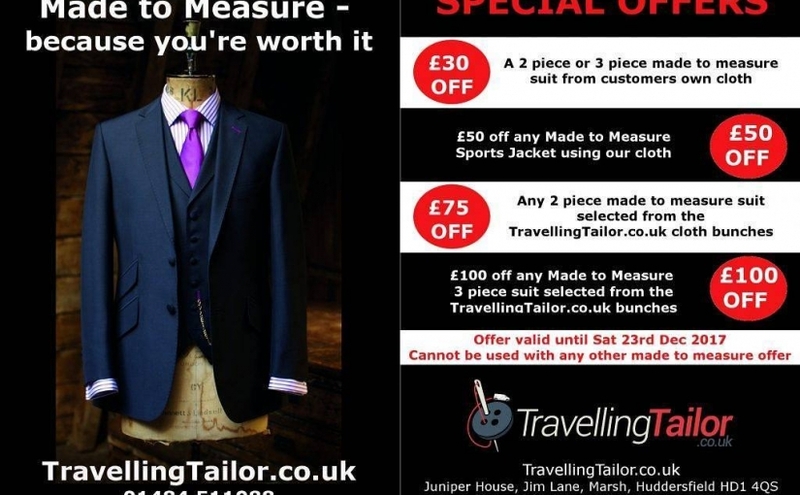 This offer is ideal for anyone wanting a made to measure suit for work. Offers available up until Saturday 23rd December 2017. You must mention this offer at the time of measuring to take advantage of it. Simply telephone Michael on 07885 298700 to arrange a visit to discuss your made to measure suit requirements. 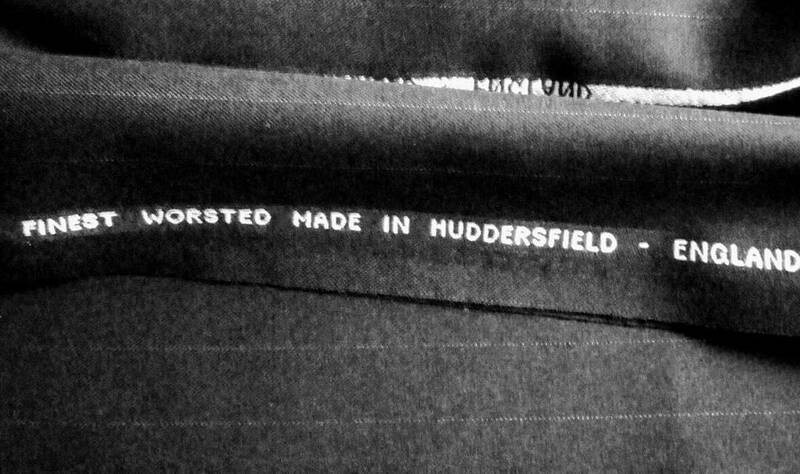 TravellingTailor.co.uk will travel up to 60 miles radius from out base in Huddersfield to provide made to measure garments for clients. 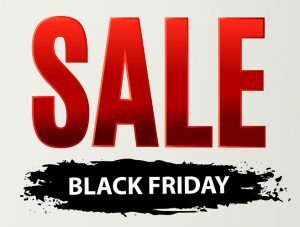 Posted on November 17, 2017 November 17, 2017 Categories made to measureLeave a comment on Black Friday offers come a week early and stay longer on made to measure suits and jackets from TravellingTailor.co.uk. You know you’re doing something right when you make a suit for the MD of a top local mill & he says it’s a MUCH BETTER fit than his Savile Row suit. Great email from yet another satisfied client. 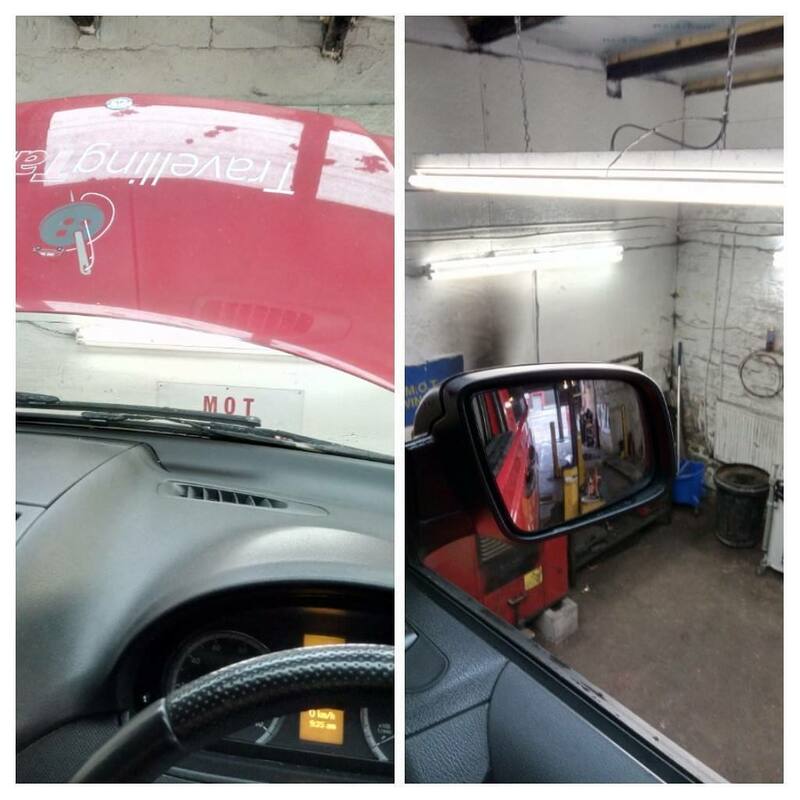 Thanks Alan, always a pleasure. Taron Egerton as Gary ‘Eggsy’ Unwin wears a bright Orange Velvet Tuxedo Smoking Jacket in the latest Kingsman 2 film – here’s how to get one just like it. Due for release tomorrow (20th September 2017) in the UK, Kingsman 2: The Golden Circle once again stars Taron Egerton as Gary ‘Eggsy’ Unwin and Colin Firth as Harry Hart. As with the first film in the series, Kingsman: The Secret Service, there is a great attention to style and design in the clothes the characters wear. The Velvet Smoking jacket Tuxedo is once again in evidence. This time however, it’s Garry ‘Eggsy’ Unwin wearing one in a rather startling Tangerine Orange. Fans of the film franchise may well recall Harry Hart (Colin Firth) wearing a Navy Blue Velvet Smoking Jacket. He completed the look with co-ordinating Tartan trews in the first film. 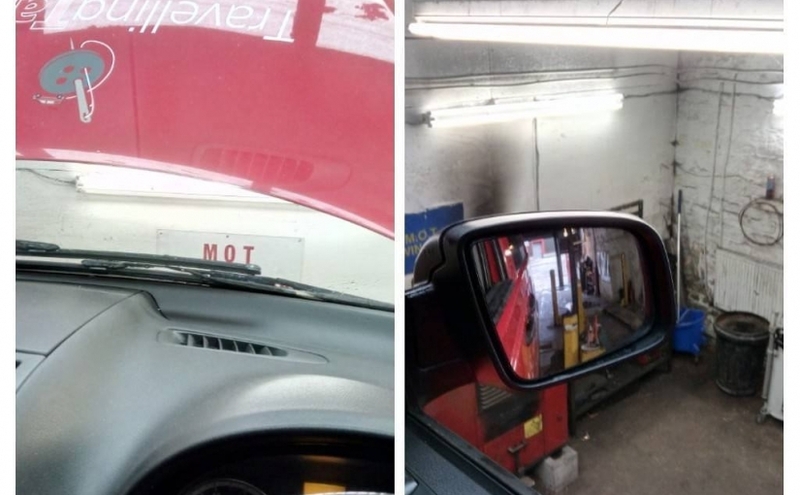 Colour is not the only difference. Colour is not the only difference in the two Velvet Smoking Jackets used in the films. There are also differences in lapel styles. Eggsy’s bright Orange Smoking jacket has Double Breasted peaked lapels. 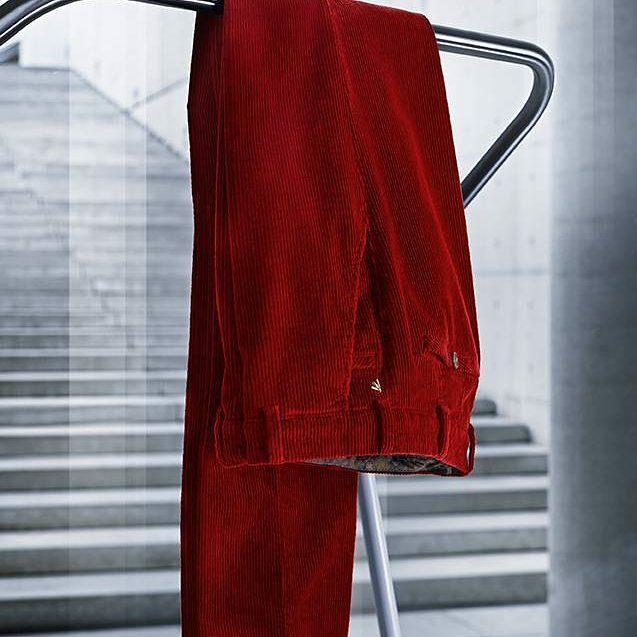 These lapels combined with the startling colour of the Pumpkin Velvet and the sharp fitted look of the jacket are perfect for the younger more fashion conscious style of Unwin. The jacket conveys perfectly the gregarious, cheeky and confident personality of Unwin. Harry’s Navy Blue tuxedo on the other hand has a shawl-collar and the Velvet was a more muted shade of Navy Blue. The fit was also slightly more relaxed, perfect for the refined look Harry’s character requires. The pairing of the jacket with tartan trews suggests that whilst Harry is refined, there is nothing ‘ordinary’ about him. 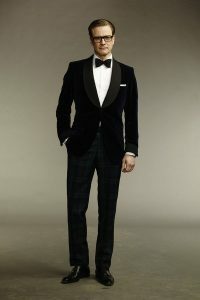 Should you find yourself wanting a tailor made unique velvet smoking jacket then we (travellingtailor.co.uk) have a wonderful selection of coloured and patterned velvets to choose from. From Tangerine to Hot Pink, Navy Blue to Turquoise, Silver to Calypso Red and of course black, all shades are covered. You can choose the lapel design to suit your style, from Double Breasted peaked, Shawl or standard notched. Just to finish the look, TravellingTailor.co.uk also has a large selection of Tartan’s should you wish to add a waistcoat and or trews to your Tuxedo. 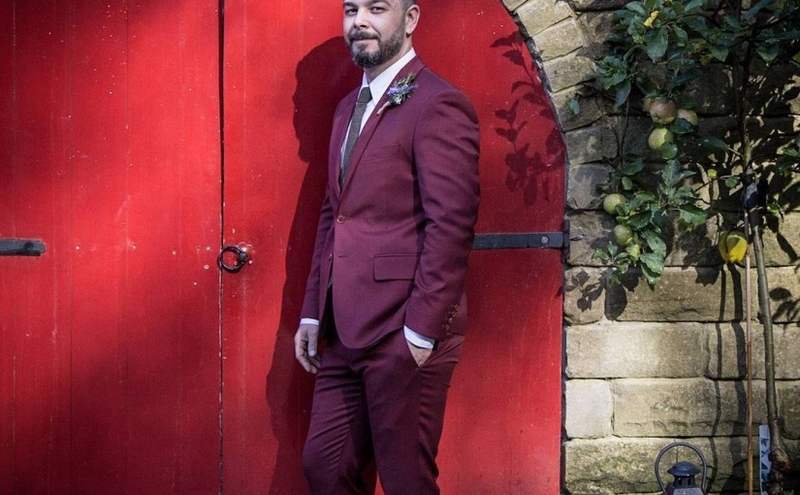 Why not give Michael a call on 01484 511088 to discuss your new Velvet Tuxedo Smoking Jacket? (Michael Hopkins is the owner of TravellingTailor.co.uk and has been measuring clients for made to measure garments for over 25 years. As a partner in Laurie Hopkins Menswear for the last 30 years, Michael has also successfully provided menswear for major films and TV shows. 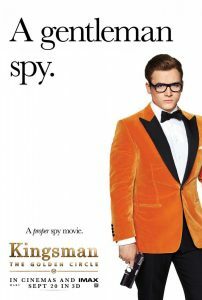 Posted on September 19, 2017 Categories get the lookLeave a comment on Taron Egerton as Gary ‘Eggsy’ Unwin wears a bright Orange Velvet Tuxedo Smoking Jacket in the latest Kingsman 2 film – here’s how to get one just like it. 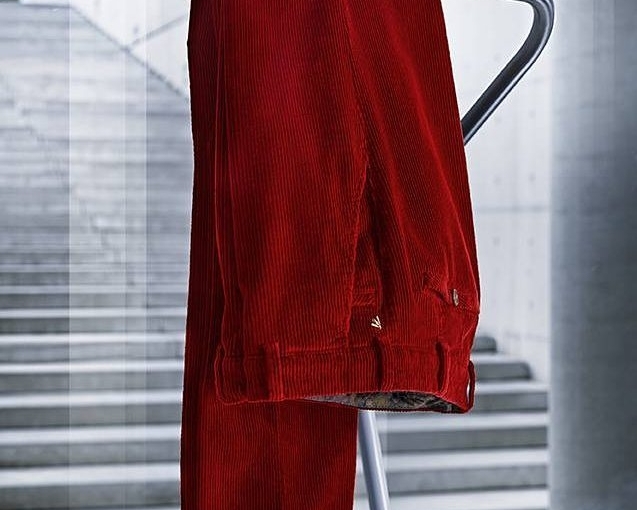 #TravellingTailor Autumn/Winter 2017/18 Meyer Pima Cotton Red Cord trousers. How to get the Harry Styles ‘Two Ghosts’ yellow double breasted suit that everyone is talking about. Saturday night saw the (ex) One Direction singer Harry Styles debut his latest single ‘Two Ghosts’ on TV. From his self-titled ‘Harry Styles’ album the track featured on the Jonathan Ross show on ITV. 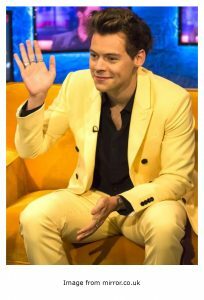 The tabloids and fans of Harry have gone into a frenzy on twitter over the stunning bright yellow suit he wore on the show. The show was first aired on Saturday 02/09/2017 on ITV. Not only was the suit different because of its bright yellow colour but it was also double breasted. This is something that you don’t see that often on TV these days. Unless it’s a repeat of a sitcom from the early 80’s ! Known in the trade as a ‘button 2 show 3’, the high fastening double breasted jacket featured dark buttons that stood out on the bright yellow fabric of the suit. Button 2 show 3 means that there are 3 sets of buttons on the front of the jacket with two being used to fasten the jacket. Real functioning cuff holes completed the exclusive look of the suit that was obviously made to measure specifically for Harry. So, how can you get a ‘Two Ghosts’ Yellow suit similar to the one worn by Harry Styles? TravellingTailor.co.uk carry a large selection on cloth samples from various mills throughout Yorkshire and England. From stripes to checks and through to plains. One of these bunches carried is a Super 120’s selection of plain wools in various shades. There are 3 yellow shades to choose from, with Bright Yellow being one of them. Bright Yellow Super120’s to make a Harry Styles suit. 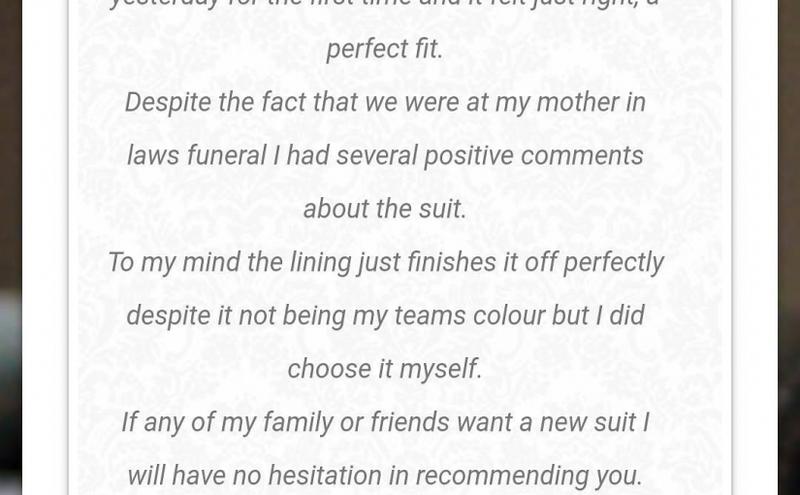 TravellingTailor.co.uk could easily measure you for your own ‘Harry Styles, Two Ghosts bright yellow double breasted’ made to measure suit. Why no call Michael on 01484 511088 to discuss having your own ‘Harry Styles’ bright yellow double breasted suit made? 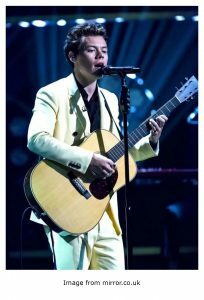 Posted on September 6, 2017 Categories get the lookTags harry styles, itv, jonathan ross, made to measure suit, super 120's, two ghosts, yellow suitLeave a comment on How to get the Harry Styles ‘Two Ghosts’ yellow double breasted suit that everyone is talking about.